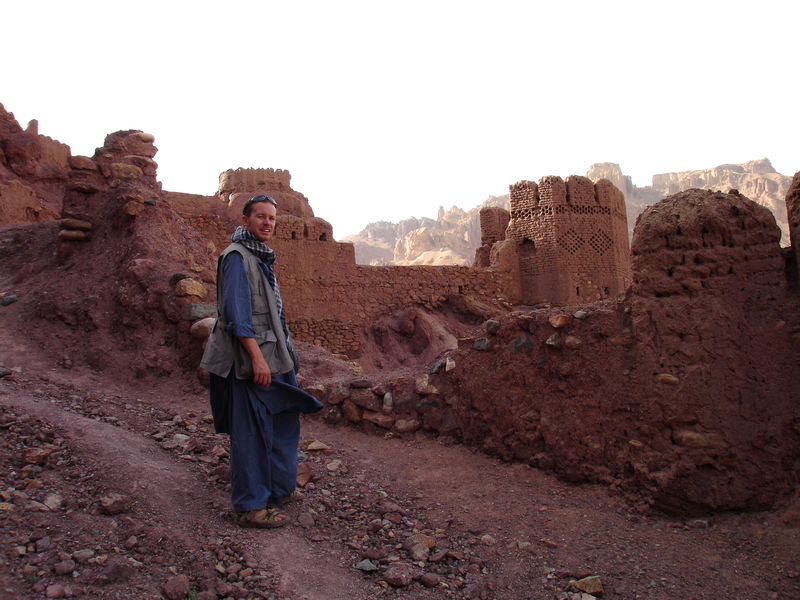 On The Central Route through Afghanistan with Lonely Planet Author Paul Clammer – Researching the 2007 Lonely Planet Afghanistan guidebook. In Bamiyan Paul and I hired a 4WD Toyota for the three-day drive to Chaghcharan. Our Hazara driver refused to take us beyond that city as it was too dangerous for him. A friend of mine from the 70′s in Kabul now runs the ‘Roof of Bamiyan’ Hotel and he found a reliable driver for us. 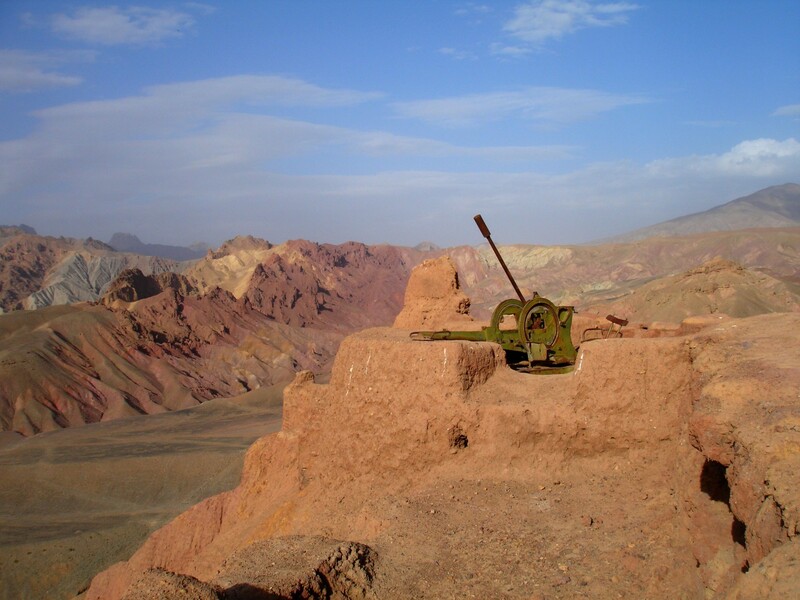 Since we weren’t leaving for another day,and we were already paying for his services, we had him drive us to the ruins of Shar-i-Zohak – “The Red Fortress”, at the entrance to the valley. We spent the day doing a Funky Trekking-style climb to the top. The sun beat heavily down at nearly 3,000 meters, but at least it was a dry heat. The strong wind cooled us, but made the climb a bit treacherous . Though once we reached the top we found it to be more than worth the effort. 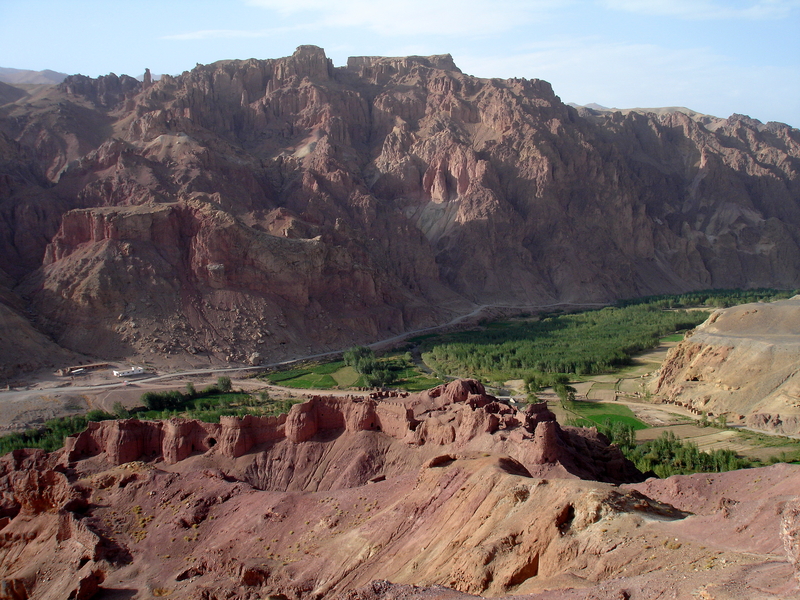 It was one of the most spectacular views in all Afghanistan – a country well-known for spectacular views. We only made one wrong turn on the way up; taking the easier path to the right instead of choosing the steep goat trail, and thus we found ourselves in the middle of a live mine field. There were red painted rocks the size of double fists scattered all around. Rather than go back we just spread out and carefully stepped in the foot prints left by someone who had made it through safely. After that the wind torn climb was a relatively safe and welcome relief.